Pokies (the Aussie slang term for slot machines) have advanced from mechanical reels featuring static symbols to real money video games featuring detailed graphics and interactive animations. Online casino software developers are constantly pushing the envelope when it comes to their pokies games, with the top providers now utilising 3D technology to really bring their titles alive. We take a look at 3D pokies and the providers who have executed them perfectly. Why the move to 3D? Many gaming software studios want to immerse their players more into the game and transform the entire real money pokies gaming experience from simply trying to win money to an entertaining, feature-rich gaming environment. How do 3D pokies work? While browsing the pokies catalogues at our verified online casinos, you will come across an array of titles utilising different technology in order to execute their take on 3D pokies. 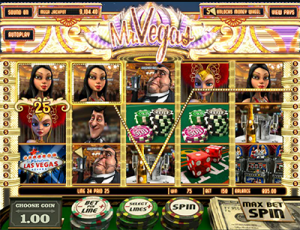 Two different takes include pokies featuring 3D computer animated graphics and titles with true 3D stereoscopic graphics. Software developers have taken the computer generated graphics found on 2D video pokies and transformed them into three dimension visuals which can be seen with the naked eye – no device necessary. The titles feature incredible 3D animations which adds an immersive feeling to the titles. They keep players engaged and turn a flat video title into an entertaining game with special effects and features. Pokies which are the best examples of these types of animations include BetSoft’s entire 3D Slots3 range. These titles, including Greedy Goblins, Weekend in Vegas, After Night Falls, Mr Vegas, Rooks Revenge, Good Girl Bad Girl, Mega Glam Life, and many, many more offer a cinematic experience on every spin. You will also find this technology on other games including NetEnt’s Gonzo’s Quest and Wizard of Gems by Play’n Go – more titles are available at Slots Million via their 3D Slot filter, as mentioned above. Microgaming went in another direction when it came to creating 3D pokies, utilising stereoscopic technology instead of transforming computer generated graphics. Stereoscopic pokies utilise technology to create a sense of depth perception only viewable via special devices, such as 3D glasses. Many believe this is the true 3D experience, rather than the 3D animated computer graphics we detailed above. However, when it comes to pokies many players suggest Microgaming missed the mark using this technology as the one title they created (Sterling Silver) requires 3D glasses, which many players may not have. Additionally, they chose poor symbols to use this technology on, as they could’ve brought to life moving animations and have characters of the slot jumping out of the player’s screen. You can still play this title in 2D mode, and if you do have 3D glasses you can try it out for yourself. Unfortunately, we don’t think we will be seeing much more of stereoscopic pokies, but this doesn’t mean we won’t eventually be getting a 100% immersive pokies experience. What about 3D virtual reality pokies? It has been predicted the next big piece of technology to take the world by storm is the Virtual Reality headset. This device is worn on our heads and completely immerses our vision into another realm. As we mentioned above, SlotsMillion.com has already jumped on the VR bandwagon and have created a virtual reality online casino. Players install the software onto their Oculus Rift headset (currently the only VR device to be compatible) and enter a virtual casino. Here they can walk around the gaming floor, enjoy the views, and play a range of VR games from developers such as NetEnt and NextGen. These are probably the most 3D pokies you can get with the graphics bursting out in front of your eyes on big wins. Additionally, Microgaming aren’t far behind with the development of their own VR game, specifically VR Roulette. 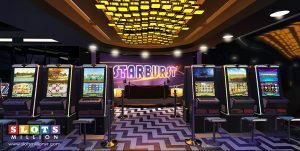 While not available just yet, we will no doubt be able to access a VR version of a Microgaming-powered casino very soon, which will likely see Microgaming VR pokies following close behind. Slots Million – Offers a huge pokies catalogue of over 1600 titles from a variety of top software developers including BetSoft, Net Entertainment, ThunderKick, iSoftBet, Rabcat, and more. There are 160 3D pokies games available, which you can find by choosing the ‘3D Slots’ filter in the search bar. If you are a new player you can opt in for the $100 matched by 100% welcome bonus, plus score 100 free spins on NetEnt’s popular pokies (including 3D titles). What’s more, Slots Million offers the first true virtual reality Internet casino, accessed via your Oculus Rift for a serious 3D experience. Royal Vegas Casino – Powered exclusively by Microgaming, Royal Vegas features more than 250 pokies available on their instant and downloadable platform: Progressives, table titles, video poker, casual games and more. 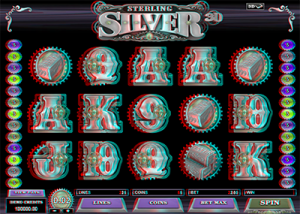 There’s a true 3D stereoscopic title from Microgaming known as Sterling Silver, but you will also find 3D pokies by Rabcat launched on the Microgaming Quickfire platform. If you are a new player here, you can opt in for $1200 welcome bonus. G’Day Casino – Featuring a stereotypical Australian theme, G’Day offers an extensive catalogue of pokies from NetEnt, BetSoft and more, meaning there’s an array of 3D titles found here. Opt in for the unlimited new player bonus to receive your first deposit of any amount matched by 100%. Read our full review of G’day Casino here. For the largest collection of 3D pokies available online, head to Slots Million to get access to 1600+ pokies titles available for instant-play direct over your Web browser. New players can claim up to $100 in bonus money and 100 free spins to use on popular NetEnt pokies.